Marvel movies, whether from Sony or Disney, have taken on different types of genres when making their movies. Spider-Man: Homecoming is loosely based off of a 1980s John Hughes movie, Captain America: Civil War took inspiration from spy movies, and the upcoming Infinity War has been compared to a heist movie. And now, it looks like Ant-Man and the Wasp could be Marvel's first romantic comedy, which will sit well with some fans and more than likely alienate others. It's hard to please everybody, but a Marvel rom-com has to be better than a normal one, right? 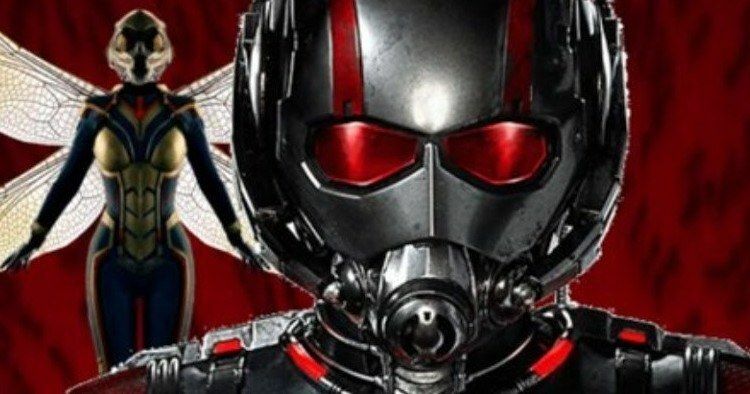 A new report out of the Russian entertainment market seems to give us a hint about the genre of Peyton Reed's Ant-Man 2, noting that it will be Marvel's "first rom-com." The news was released at the Kinorynok event in Russia and it's hard to make out the rest of the translation, even with Google Translate. But, the message that is clear, is that Ant-Man and the Wasp is reportedly going to be a romantic comedy and it makes sense. There was definitely some chemistry laid between Scott Lang (Paul Rudd) and Hope Van Dyne (Evangeline Lilly) in the first movie and it seems only natural that there will be a romantic comedy element to the sequel. Though not much else is clear about the plot for Ant-Man and the Wasp, Evangeline Lilly may have just let some information slip in a recent interview with Vanity Fair. She implies that Ant-Man and The Wasp may have a larger part to play within the MCU and in the later version of a possible multi-verse comes into play. She goes on to say that she isn't the writer, but she imagines that it can go in that way. Evangeline Lilly had this to say. "Those characters are experts in the quantum realm. In Ant-Man and the Wasp, they are trying everything in their power to safely enter the quantum realm and return back from it because they have evidence from the first film that Scott Lang was able to do that. If he can do it, why can't we? If we do succeed in Ant-Man and the Wasp, then that does open a whole entire new multi-verse to enter into and play around in. I'm not the story creator, so I can't tell you what they're going to do with that. But I definitely see the potential there." Evangeline Lilly's thoughts on the MCU gives a pretty solid idea of how interesting these storytellers are probably going to get with the future of the MCU. Opening up new dimensions and heading back into the quantum realm open up all kinds of ideas of where the MCU can go and with The Wasp being a major part of the new movie, you can almost bet that quantum realm will be a factor in the sequel. We'll just have to wait for some more information to come our way, which is expected to be soon. Ant-Man and the Wasp being a romantic comedy does sound like quite the gamble, but it also makes sense for the MCU. Ant-Man is already pretty divisive within the MCU, so why not continue that and do whatever they want with the characters? It will also be interesting to see where Ant-Man and the Wasp fit into Infinity War and Avengers 4, knowing that there could be more to the story with the quantum realm. You can read more about the Russian translation and the possibility of Ant-Man and the Wasp being a romantic comedy courtesy of CBR.